Battelle Distinguished Professor and director of the Center for Bioproducts and Bioenergy at WSU Tri-Cities, Dr. Birgitte Ahring will participate in research in feedstock development, biomass conversion and fuel refining as part of the Northwest Advanced Renewables Alliance. She is an internationally recognized microbiologist who studies the use of anaerobic bacteria – bacteria that exists in an oxygen-free environment – to produce biofuels and bioproducts or to reduce waste. She also has developed numerous patents related to renewable energy. Since 1986, Dr. Ahring has been a member of the faculty in Denmark and at the University of California, Los Angeles. Also, she has worked for the World Bank and for private companies in Denmark. 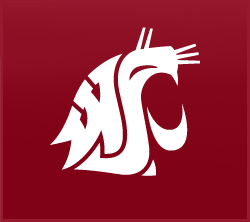 She joined Washington State University in 2008. Dr. Ahring received Washington State’s STAR researcher award in 2008. In January 1999, she received the highest scientific award – $500,000 – awarded by the Danish Government, the Kann Rasmussen Foundation’s Yearly Award for Outstanding Technical Research.